Quick – which of your five senses do paintings appeal to? It’s an easy answer, right? After all, it’s called visual art for a reason. While sight might be the most obvious answer, it’s hardly the only sense that paintings can appeal to. In fact, some artists have created paintings that were deliberately intended to appeal to all of your senses. Each element in the painting refers to a different sensory experience. Obviously, the musical instruments tell us about our capacity for hearing. Taste is clearly alluded to by the platters of food in the middle of the table. A brazier full of hot coals and the burning wick on the left of the painting trigger our sense of smell. The mirror reflecting the tall glass of wine demonstrates our power of sight – the mirror symbolizes the eyes beholding the object. What about the sense of touch? I believe the key lies in the objects Cleasz presents to us in the foreground of the painting; the large bottles and tortoise, the metal basin they rest in, and the cello-like instrument to the right. Each of these materials has a very different texture. Think of the way glass feels compared to the feeling of wood. Or the difference between the rough shell of the turtle and the cool smoothness of the copper. Claesz has gone to painstaking lengths to accurately portray the textures of these objects. In doing so, he practically invites us to reach out, touch them, and experience the sensation of direct contact. 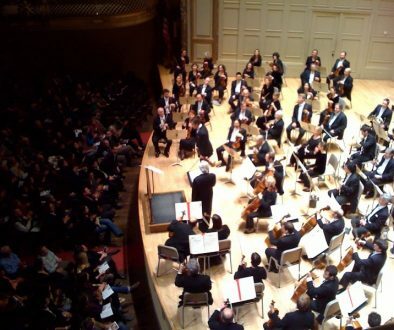 Taken together, the artist presents us with a symphony of experience. Every sense is triggered – even symbolically. The viewer enjoys a well-rounded experience of all of the senses that make us human. Portrait and landscape paintings can of course appeal to a wide range of senses too. The success of a portrait often hinges on the artist’s ability to convincingly capture the texture and feeling of human hair. A landscape can burst to life if the artist makes us feel the cold on our skin as we view a winter scene. But it’s in the genre of still life painting that these portrayals rise to such an amazing climax. That’s hardly a surprise, as still life paintings are in many ways extended meditations on the objects depicted. For instance, an artist preparing to paint a lemon will study that lemon deeply. He or she will think about all of the important characteristics of that lemon. 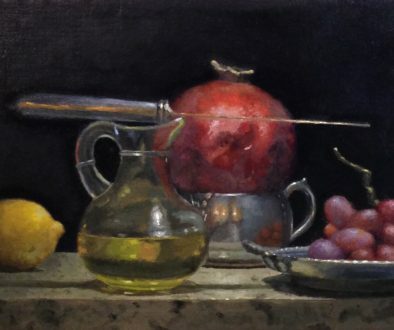 In the process of doing so, even the non-visual elements of that lemon will come to the artist’s attention; the bright clean scent, the waxy feel of the rind, perhaps even the tart taste of the juice when the lemon is peeled. 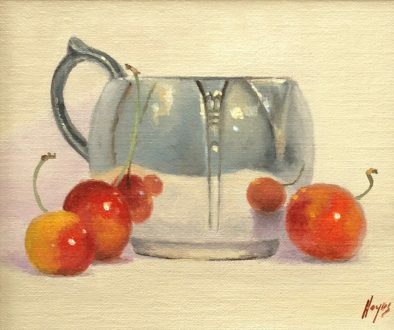 Some artists choose to create their paintings by working from photographs, while others insist on working from life – having the objects they are painting directly and physically in front of them. The artist working from a photograph of a lemon has little more than color and shape to work from. However, the artist working directly from life experiences the lemon in all of its fullness and richness, with all the of sensations its nature can provide. Which approach do you think leads to the fuller – and ultimately better – portrayal of the lemon? Indeed, these experiences can suffuse the process of creation. As a practicing artist, I’m aware every day what a multi-sensory experience painting can be. Over the years I’ve developed a feeling for the touch, scent, sometimes even the sounds of the materials I work with in the studio. Oil paint, for instance, often has a peculiar, almost nut-like odor to it that fills my studio as I’m laying out my palette. For me it has the powerful effect of putting my mind and heart ready to work. The texture of the linen I paint on can have a strong effect. Before working, I’ll often simply run my fingers over the surface – appreciating the irregularity of the fibers and the weave. There’s a real honesty and directness about linen – its imperfections gives it a sense of hand-made authenticity. Even the actual sound of painting has a role in the process. Sometimes I will listen for the very subtle and quiet sounds of the paint as I apply it to the linen. The sound and feeling of the paint as I manipulate it can give me important clues about its consistencey, and can even tell me if it needs to be thicker or thinner as I work with it. These sensory connections an artist has with the material might be subtle, but the way it binds the artist to the physical work itself has an unmistakably genuine power. I have no doubt it’s an intrinsic part of the creative process. Pieter Claesz’s masterpiece might be unusual in that it consciously depicts all five senses. However, many other great paintings give us powerful experiences of senses beyond the visual. It’s almost impossible to stand in front of one of Rachel Ruysch’s (Dutch, 1664-1750) miraculous floral paintings and not have a palpable sense of the delicate scent of the flowers. Try it. For sheer technical skill, I do not believe any still life artist has ever surpassed Willem Van Ealst (Dutch, 1627 – after 1682). His ability to accurately and convincingly render various textures at times defies explanation and even belief. They practically beg us to reach in and touch the leather, the suede, the metal, the feathers. I’ve been fortunate to see this painting in person – it is even more astonishing than what a photo can convey. Finally, in this warm and inviting still life, Albert Anker (Swiss, 1831-1910) places us directly in the middle of a simple but satisfying country meal. The tastes and textures of the ham and bread nearly leap out of the canvas towards us, balanced by the cool refreshment of the glass of beer. Now it’s your turn. Next time you stand in front of a painting you enjoy, see if it appeals to you more than just visually. Is the artist calling your attention to the textures and feelings of the objects? Is there something that appeals to your senses of smell or taste? Perhaps you can even hear something about the painting in your imagination? If you’re an artist, how would you convey these sensory experiences? How would you suggest the feeling of silver? Would you paint brass to make it feel slightly different? 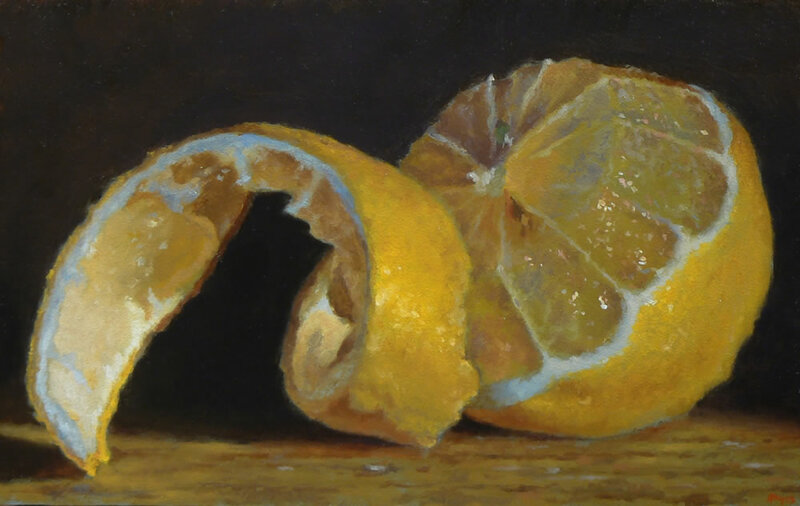 Could you paint an orange in such a way that a viewer can’t help but smell the citrus? Truly great art is a rich, complex, and dynamic experience. That means showing us much more that just what the eye can see. So do you have a favorite painting that speaks to all of your senses? Please share it with me in the comments below.